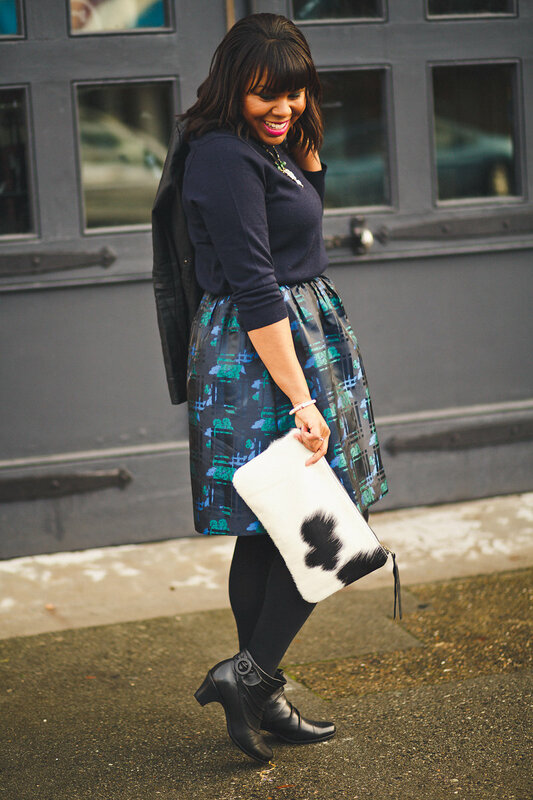 Today I am styling another beautiful piece from Favery, a jewelry and accessory boutique based in Seattle. This brand is all about celebrating today’s most influential designers and elevating their products. All of the pieces are high-quality, often handmade, and locally-sourced. Here is Tuesday’s look if you missed it. 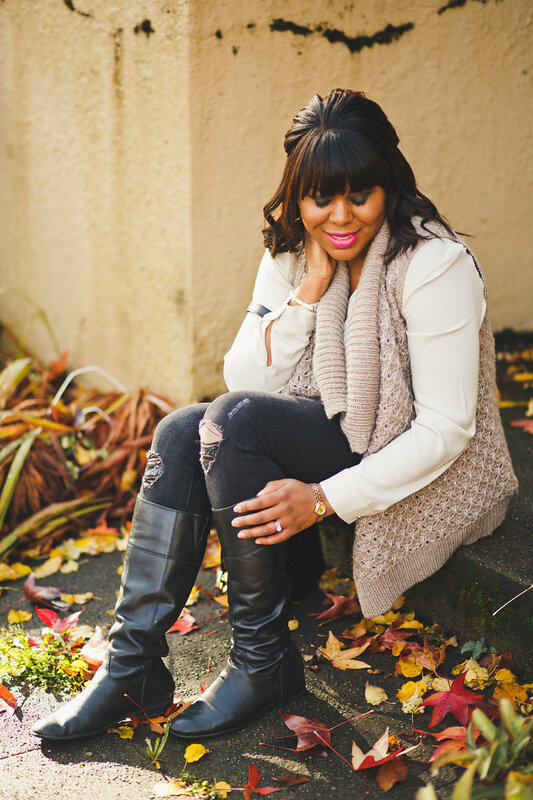 I love the fringe detail and the rose gold color of the Jules Smith Coachella Necklace. It also comes in gold and silver. If you prefer earrings, they have those too. 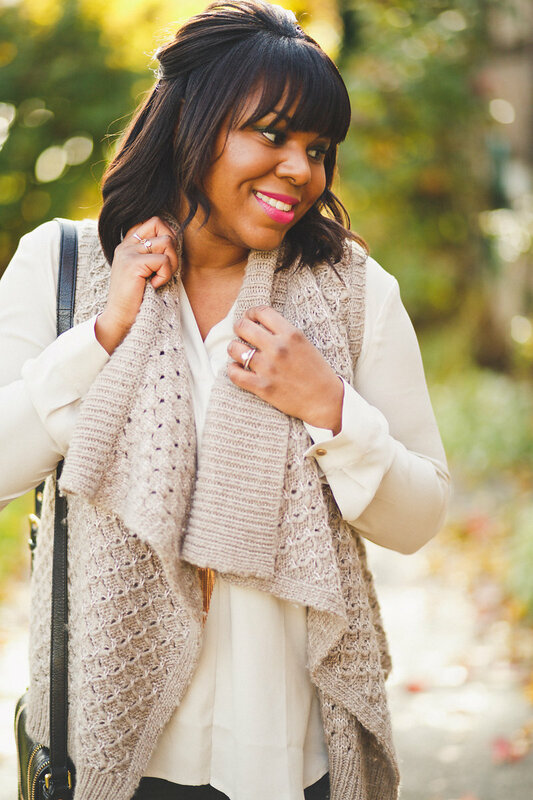 I initially wanted to style this glam 70s style necklace with a chambray dress, booties, and a scarf, but the weather had something different in mind. I chose a neutral color palette, but added some contrast with the black distressed jeans. 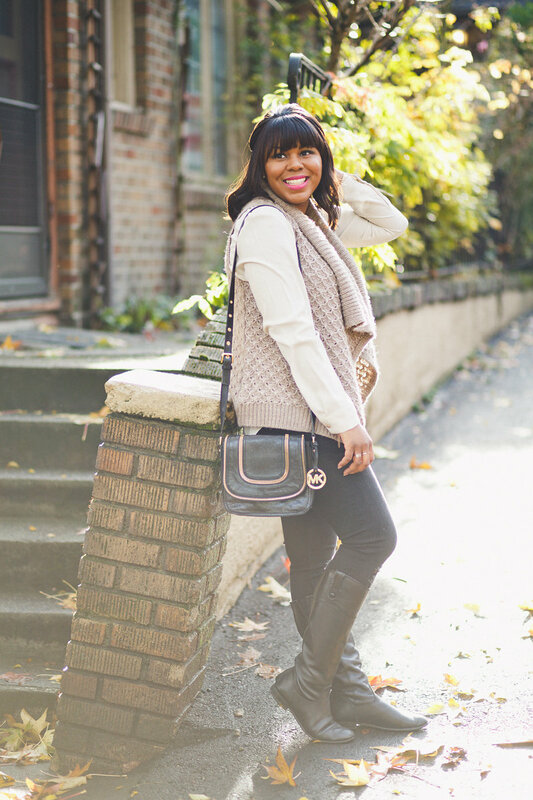 The blouse provides a feminine touch with the cozy vest. If you like statement pieces Favery has you covered. If you prefer a more minimal aesthetic they’ve got that too. 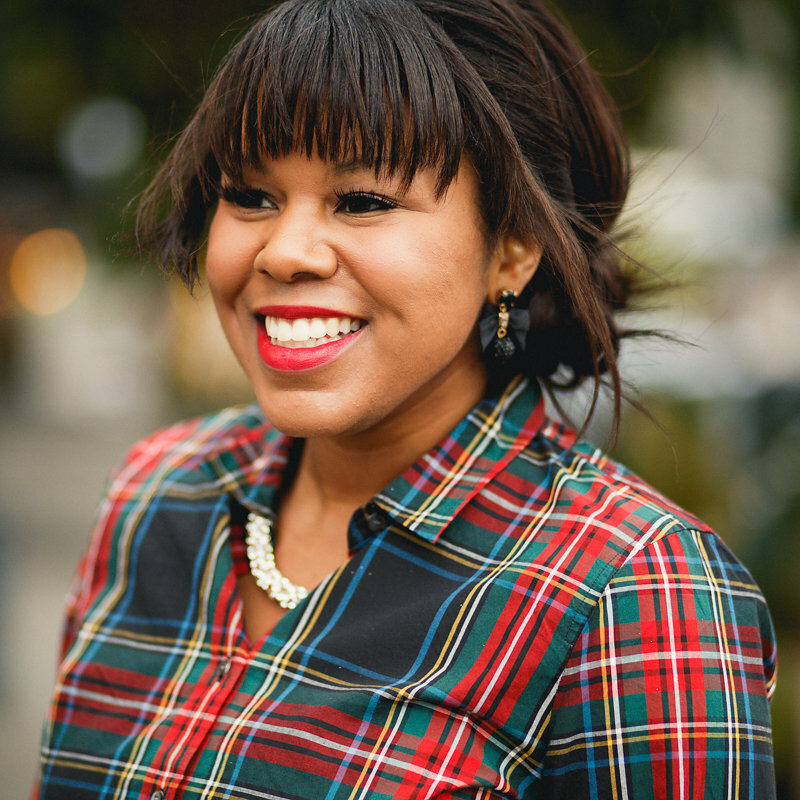 You can also work with a stylist for an at-home trunk show. If you’re obsessed with accessories like me, you might want to consider their stylist program. The makeup in this shoot was done by Oliver Beauty. I was so excited to have the opportunity to collaborate with him. Look for more projects with him soon! Favery is offering you an exclusive $10 off code. Enter LACE10 at checkout. Aww, thank you! You’re so sweet. You look amazing! 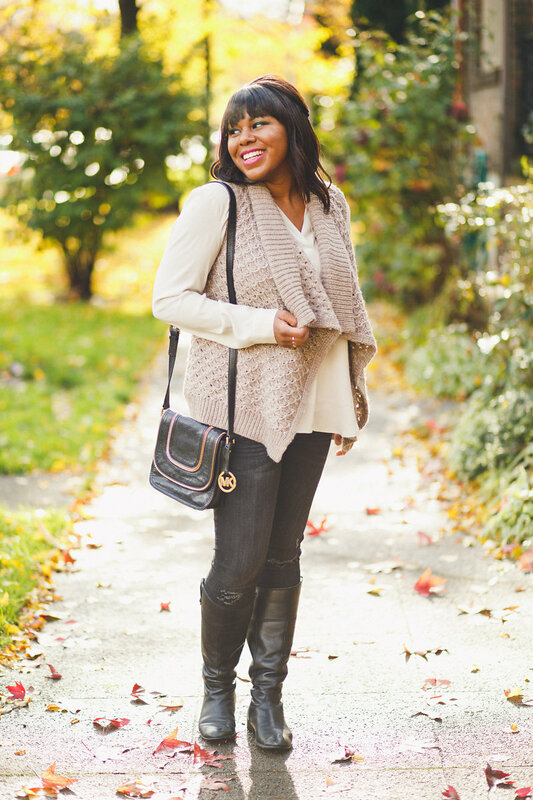 Love the sweater vest with the blouse.The necklace is so pretty and gives the whole look a touch of glam. 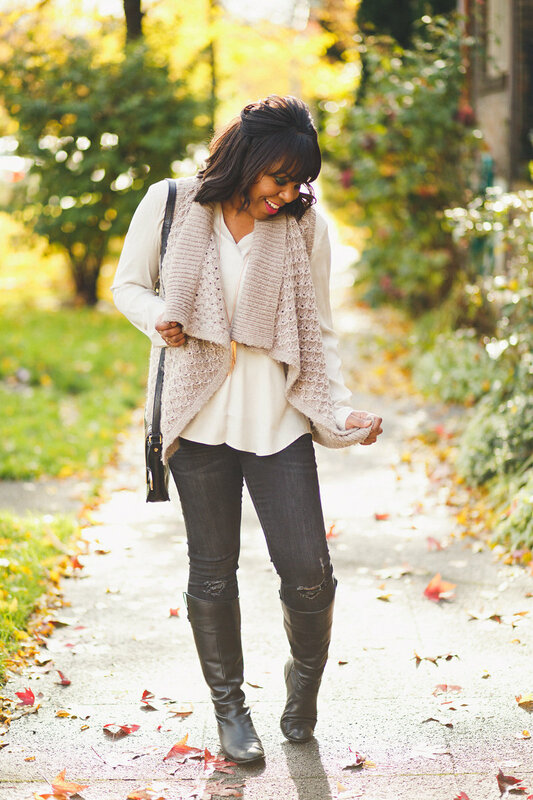 I am in love with this outfit – excuse me while I go find a sweater vest myself! Your sweater vest is so pretty. Love the neutral tone. Your hair looks so pretty half up. You’re so sweet! Thanks for noticing the details. Also you will have to give me the breakdown of beauty products you used for this look…especially that eyeshadow! Love. Lol! You’re so funny. We really lucked out with the weather on this day. I’m obsessed with Favery. I can’t believe I’m just now hearing about them. Unfortunately, all of the products are Oliver’s. I have no idea what he used. I can probably find out though if you’re really interested. Aww, thanks Megan. You’re the sweetest. Asa, you are such a cutie! 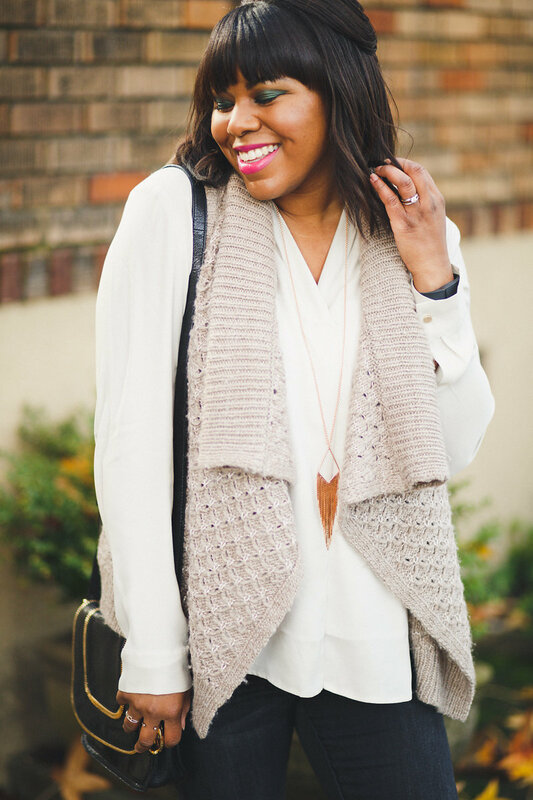 Love the knitted vest and your smile! Your photography lately has been outta this world too! Swoooon! 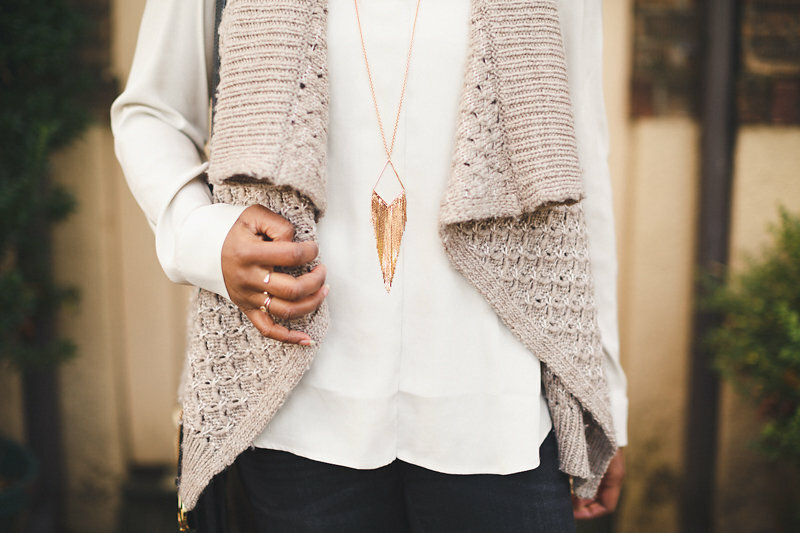 Neutrals looks amazing on your and this necklace is so pretty! You are so adorable! Happy Sunday Sunday, gorgeous! Thanks Julianna! Your kind words mean so much. I’m as surprised as you are for this exciting collaboration. It’s a lot of fun to be able to partner with other creatives and brands. I feel fortunate for the opportunity. I’m sure you’ll have a similar one soon. I met Oliver through another blogger at a recent event I attended. I love your styling idea for this necklace. You have a great eye! Thank you! Michelle is a wiz with the camera. I’m super thankful to be working with her on the regular. You look so beautiful in neutral colors babe! and I love the fringe necklace too, its gorgeous! How much fun you had in your makeup session with a beauty artist! Loved the make up! Thanks Dana! Your words mean so much. I’m super thankful to have connected with Oliver. He’s very talented.